An unsafely parked forklift can be a real hazard to both the operator and pedestrians. 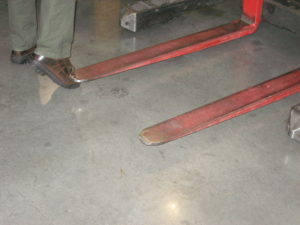 Operators must always park with the fork tips down and on the ground – tripping over the forks is a common cause of injury and often it is the operator who trips. And always park in a safe space – not blocking emergency exits, first aid or fire fighting equipment. There are many other points to remember when parking your forklift – all covered in our training programs.